Horse Protection Society of North Carolina Inc.
Strudel came to HPS with her friend, Alamo, a previous resident at HPS. Their family had to sell their farm and return Alamo to HPS. They were unable to sell their little pony due to the present economy. Strudel is a cute little Connemara cross. Her paperwork lists her color as silver bay. We have done some research and found that a silver bay is a horse that carries the silver dapple gene. 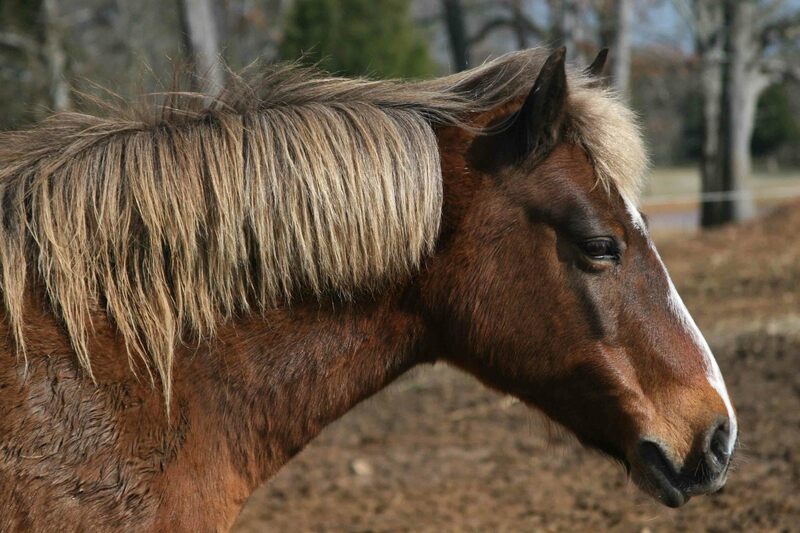 The silver dapple gene cancels out any black on the coat; therefore, manes appear flaxen but have grey roots, and the faces appear a little sooty. Strudel has been trained to pull a cart and will also ride western. She has a sweet, calm personality. 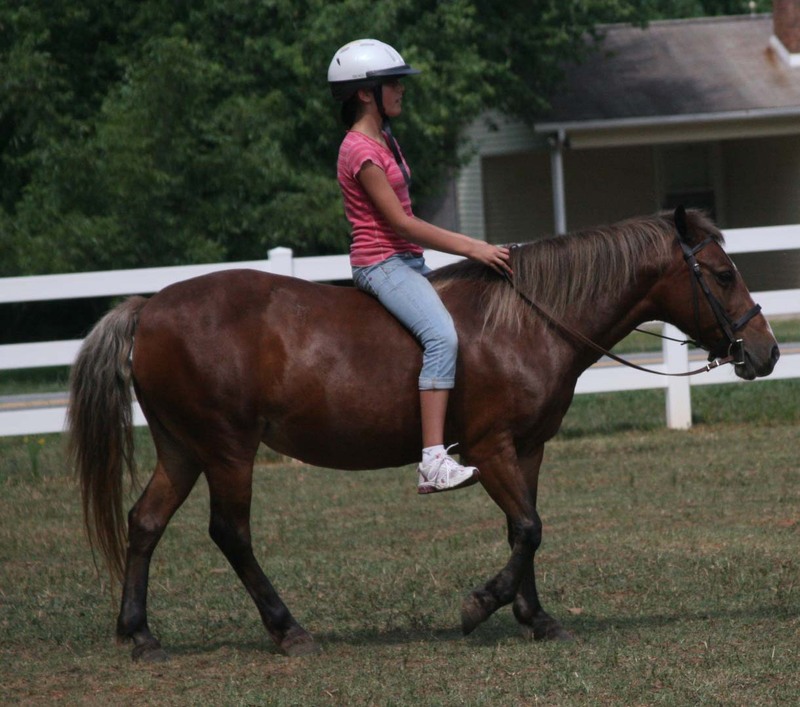 She would make a nice pony for a child with riding experience. Horse Protection Society of N.C.